What's one of the ways to have chocolate for breakfast and still be able to justify it somehow? This smoothie. It's life-changing. SO GOOD. Okay I'll stop now, because you need to read on and find out how to make this beauty. 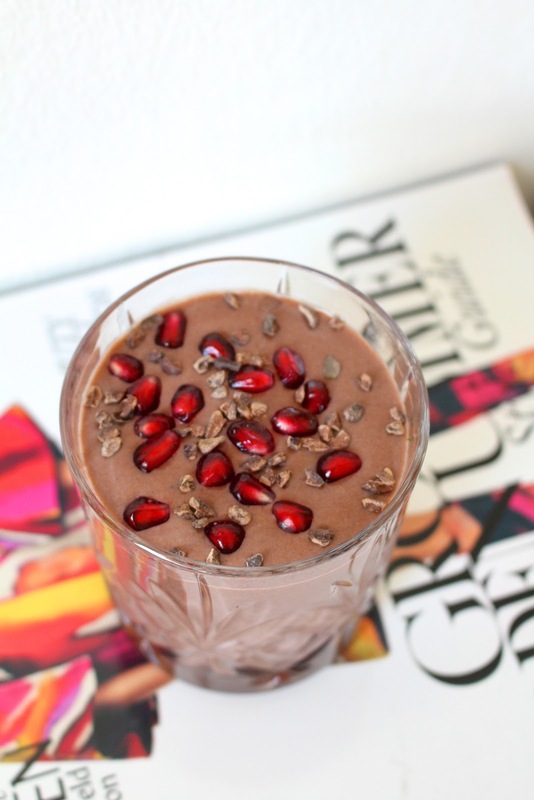 It's been my go-to smoothie after workouts or in the morning. 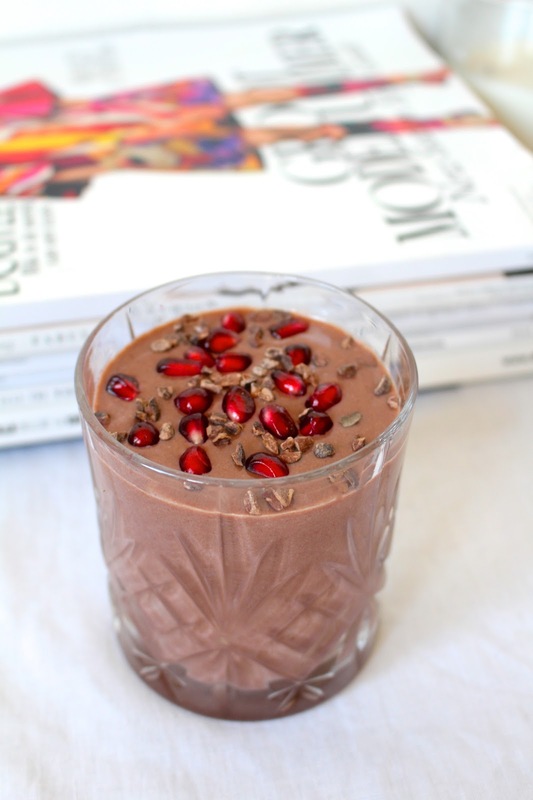 Rich & delicious without the sugar but with a protein kick. The perfect start to the day or a mid-day treat. Blend all the ingredients until smooth and serve up in a nice glass with some cacao nibs/pomegranate/blueberries/coconut on top. 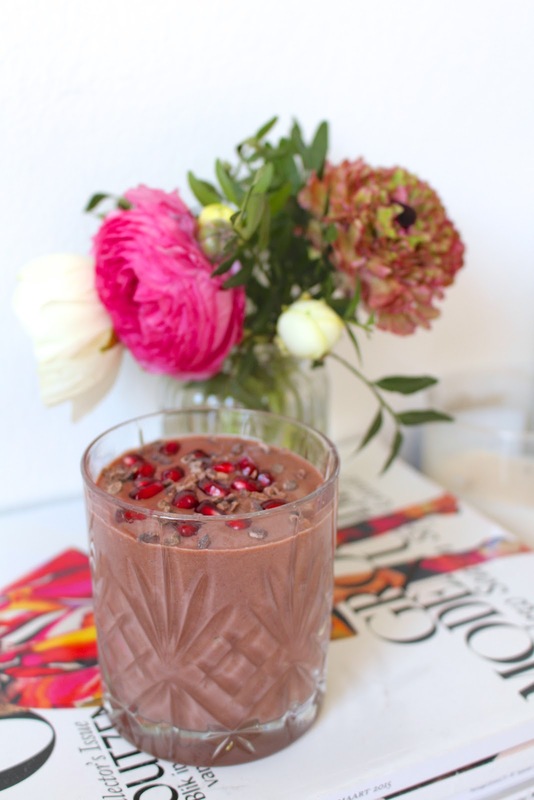 Your super chocolate-y smoothie is ready now. The avocado might sound like a weird addition but trust me, you can't taste it and it makes the smoothie ultra-smooth. In case you don't have protein powder, leave it out, the quark already adds some protein to the smoothie. This is a relatively filling smoothie because of the banana, avocado and protein, so it will keep you going until lunch (in case you have it for breakfast). Enjoy and let me know in the comments what you think!